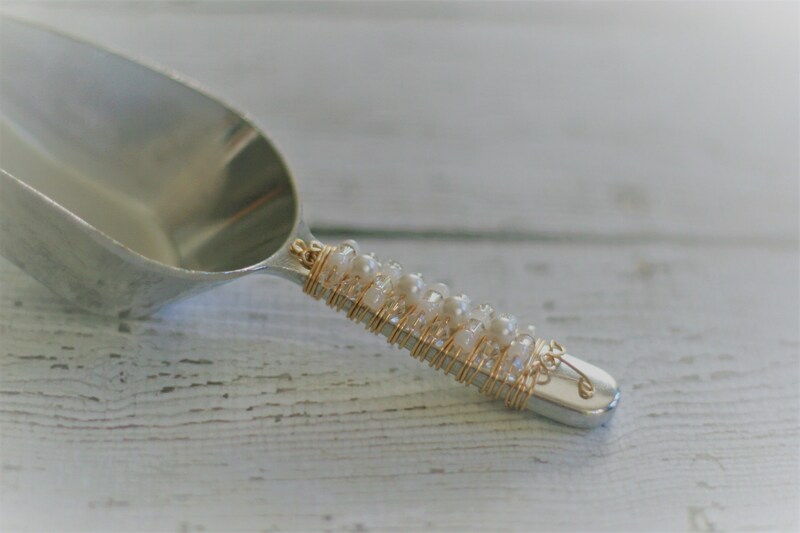 Inspired by Couture Style and Chic Designs, this beautiful beaded scoop is perfect for candy buffets, nuts & mints. Perfect for your wedding reception! This item is Made to Order. I use a non-tarnishing gold wire and beautiful white and clear glass beads. Each scoop is stainless steel and perfect for small items. Scoops in photo measure approx. 3.5 oz. Please convo me if you are interested in multiple quantities or a certain size only. Can be ordered in sets too.